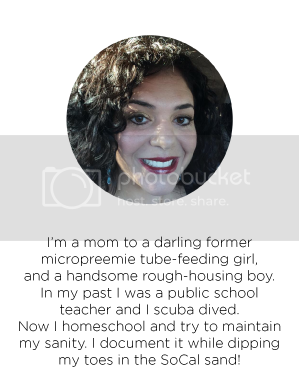 I think there comes a time in every blogger homeschool mom's life, where they finally share why it is that they do this weird homeschooling thing. I mean, why in the world would a mom choose to keep her kids home with her all day instead of sending them to school where they can socialize with other children and learn from professionals?? 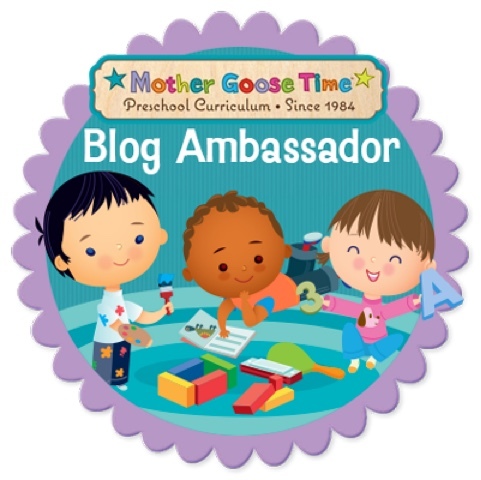 So, my time has now come to do my explaining because Mother Goose Time (the company in which I blog for and use their curriculum) has asked us blog ambassadors to write about professionalism, the MGT curriculum, and why we do the things that we do. In all honesty, I've put off writing this post because it's really a hot button topic and I want to make sure that I do it justice. Unfortunately, I've had a truly awful and sad week because my beloved three-legged standard poodle has passed, and I feel pretty raw inside, so I figure that I might as well try to occupy my mind a bit while writing about a subject that is very meaningful to me. In 1998 I earned my Bachelor of Arts Degree in Child Development. 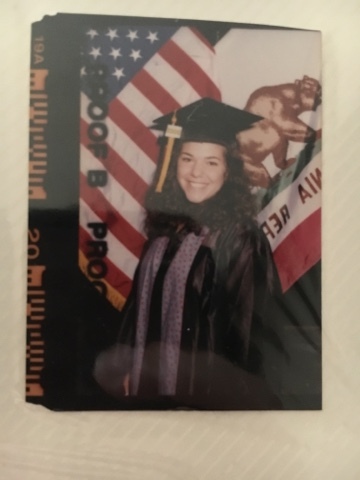 In 2000 I earned my Multiple Subject Teaching Credential with CLAD (that last part means teaching learners of different languages). I spent four years teaching 3rd grade, three years teaching 4th grade, and three years teaching 6th grade. I taught in two districts and both were high-performing with out of this world scores on the standardized tests. I learned so much during this time as the districts were both stars in being in the forefront of the best educational techniques and I was required to continue my training every year. My time in the classroom ended when I had my little one pound Tiny B and with such a tiny baby, I knew that I would not be returning to the classroom for a long while. Tiny B's great adventure started and so did the hospital stays and feeding tubes and therapies (oh you micropreemies know how to keep us moms on our toes!) and my mama heart started to see that I wanted to protect this child and give her every bit of help that I can in this rough world. I had my Strong B two years later. During this time I moved to a town where a hybrid homechool was extremely popular amongst the families in the area. It's a public charter school in which you have the choice to send your child none, one, or two days a week and you homeschool the rest. The families are very involved with the school (which has several campuses in the area) and the standardized testing scores are very good as are the teachers and special education program. 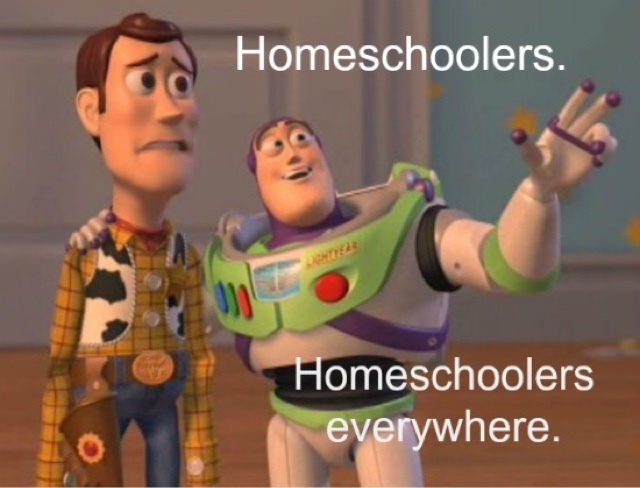 I'm in a strange situation because people who call themselves "true homeschoolers" say that we are not because we work with a public school and that school does common core and most of the things that public schools do. Some say that we are merely public school at home. To that I say that I feel that we are both homeschoolers and public school at home. My beloved friends, some of which are public school teachers, and maybe even some family, might feel that I am completely crazy and that my next step might be to hide inside our house, completely shut out the world, and chant bible verses all day. I promise that it is not this way, and that homeschooling is becoming quite popular and homeschoolers are attending amazing colleges. Before I continue I want to state a few things that I feel are important for you to know. 1. I support public school. I like the curriculum and I used to pilot the programs. I truly believe that they choose curriculum that they have heavily researched. 2. I think that public school teachers are amazing. And I'm not just saying that because I was one for so many years! Every single teacher whom I worked with were devoted whole-heartedly to their profession and loved their students. They are also smart. In California, teaching jobs DO NOT come easily, so you have to push your way in and have a strong background and interviewing skills. 3. If I should become ill or have to go back to work in a teaching position, I will be okay with sending my children to a full-time public school, for the reasons that I mention above. I will also send them to public school if I see that homeschooling isn't a fit for us at the time. 4. I believe that my friends who send their children to public school are doing the right thing for their own family and I am in no place to judge them. 5. I also believe that not everyone is cut out to homeschool. You really do have to be called to it and it has to be in your heart. It is hard and often times unrewarding. Up until two years ago, I swore that I would never ever homeschool because my children need the socialization and the experience of different teachers. I also believed that only credentialed teachers such as myself were able to teach children. My heart has changed as I've tried to give Tiny B every opportunity to grow and shine. I've seen how disenfranchised parents are feeling with the school systems. I've educated myself as to how beneficial homeschooling can be. 1. I want to have the most influence on my children. I want their schooling to include learning about God and about our values. 2. I want to try to develop high self-esteem in my children. At school, there are so many chances for them to be made fun of, put in the "low" group, compare themselves in a bad way to other children. Because of Tiny B's tiny beginnings, she is going to have some challenges and I want to make sure that she has my utmost attention in all areas of learning. With only two students, I can truly make sure that they know the standards that they are supposed to know. 3. I want them to love learning and with homeschooling, I can focus their subject matter around things that they truly love. Strong B loves cars. If he still loves cars in third grade, I will have him learn paragraphs by using cars as the subject. In sixth grade, if Tiny B just can't get enough of horses, she'll read fiction and non-fiction text about horses and she'll write her essays based on horses. 4. I feel called to it. That might change later, or have to change later, but I truly feel like it's just something that I was meant to do. 5. But mostly...I just want to protect them. I just want to spend as much time as I can with them before they leave the home. I want to control what is in their little worlds for now. That might sound crazy and overprotective, but really, I don't care. 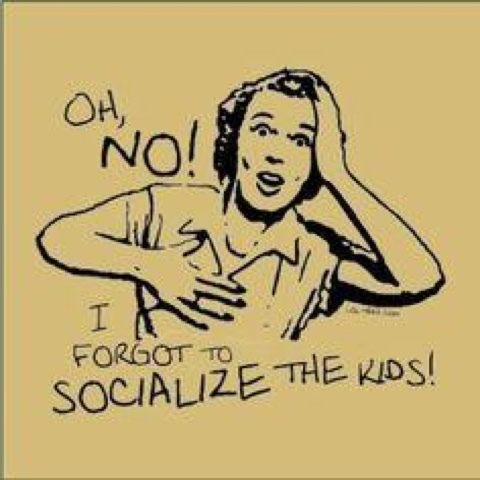 And I just want to add on one thing...A friend told me at the beginning of the year that my kids would be so social while homeschooling that I would have a hard time fitting in school. I thought she was crazy! Between all of the field trips, play dates, church events, charter school events, camps...The social time is just insane! I think the homeschool memes are hilarious. 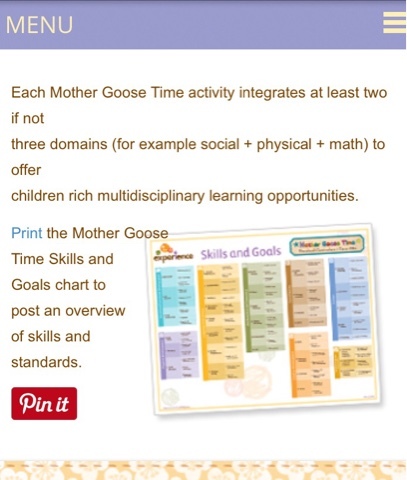 Mother Goose Time curriculum molds perfectly with my teaching style and my needs. 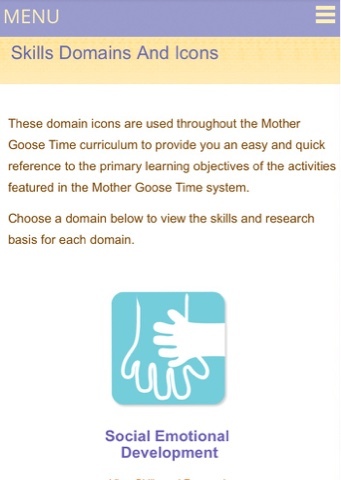 We used this curriculum for preschool/transtional kindergarten for Tiny B and half-time preschool for Strong B. The public charter school liked MGT so much that they allowed me to use it instead of their curriculum. Next year for kindergarten Tiny B will be using the charter's curriculum but will also still be using MGT along with Strong B, whom I will now have full-time for preschool! He is diving into MGT and he's already so excited about this! I love the way that it is so organized and completely laid out for me. I truly don't have to spend hours thinking of adorable projects beause they're already included. MGT helps me to learn and try new things because I really don't know much about preschool. Preschool scares me, frankly! I learned about preschoolers so long ago and they are absolutely foreign to me! MGT guides me by telling me exactly what they should be doing at their level. Every day using this curriculum is a learning experience for me. This is all an adventure. Life is very hard and I'm feeling it very much now after the loss of my precious dog. Life is hard to navigate but we do the best that we can and we all hope and pray that we are making the right choices. Some days I think that I'm crazy for choosing to take on their education. There are a few times where I've wondered if I should go back into the classroom...I would love to own a home again. But then I think about what my dream life looks like...Me getting up with the kids, eating breakfast, and doing our first lessons of the day in our pajamas...Then getting dressed and taking a break while they play outside. We come in and eat lunch together and finish our lessons. Somewhere in there I've taken B in to her speech therapy while Strong B and I take a quick trip to the grocery store. We all go home and go to Tiny B's American Heritage Girls meeting (similar to Girl Scouts) and we come home and eat dinner and spend time after dinner watching some TV. Then we end the night with reading in their bed and prayers. It might sound awful to some, but to me, it is beautiful.